Let's not beat around the bush--or maybe I should say blender--here: if Kitchen Panic were edible rather than playable, it would be a McDonald's Happy Meal instead of a four-course meal from a three-star restaurant. 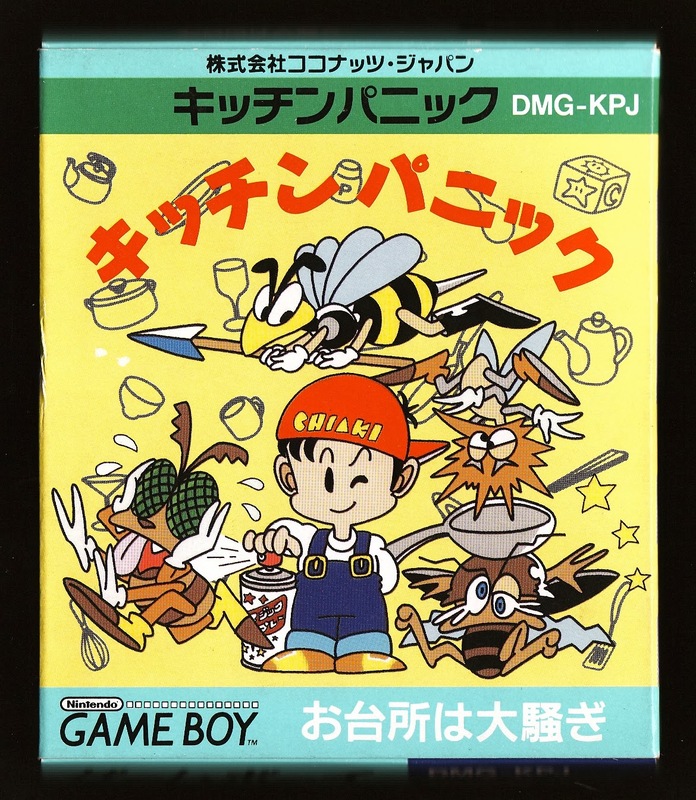 That's not me saying this Japan-only GameBoy title deserves to be dumped in the trash along with the spoiled leftovers, by the way. 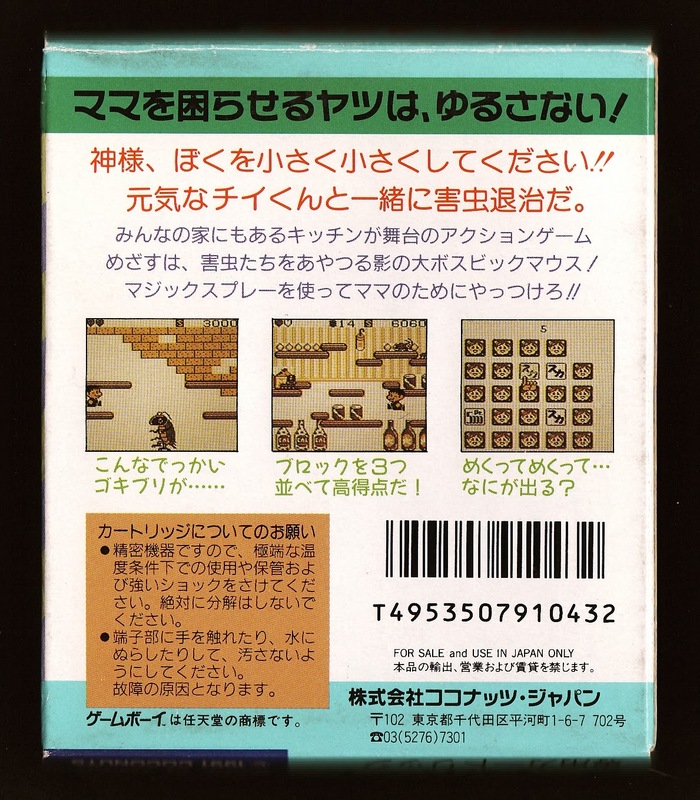 On the contrary, it's actually a pretty cute, "enjoyable enough" little game--just don't look for it to blow you away. And for crying out loud, don't go dropping a wad of cash on it (unless you're one of those crazy collector-types, of course). Go into it with the right expectations, though, and I think you'll have a reasonably good time. As for what you'll be doing during that "reasonably good time," well, you'll be running around kitchen-themed levels of various sizes--they start off taking up a single screen but quickly grow to many times that--spraying insects of all sorts (cockroaches, mosquitos, worms and more) with Raid until a door appears and whisks you off to another one. If that sounds less than totally thrilling, well, I can't blame you. Kitchen Panic is, after all, a pretty basic experience. Still, it all becomes kind of enjoyable after you've spent a bit of time with it. Also, the slightest smidge of depth enters the fray when you discover that the sun-, star- and moon-branded blocks that seem to randomly appear (I haven't figured out what prompts them to pop up, at least) after killing certain insects can be pushed together to boost your health, allow you to become invincible and more. Toss into the mix a couple of bonus stages and boss fights, and you've got yourself an arcade-style action game that's sort of repetitive but also sort of fun--and sports some rather nice "cart art," if I do say so myself.